An asphalt recycler machine like the RENOVA can save users money because it can recycle old pavement on the spot in order to create new hot mix. This machine eliminates the need to get hot mix from the asphalt plant that can cost a lot of money. Such a machine is useful for small asphalt repairs such as patching up potholes. Sure you would need to make a modest investment with this kind of machine. 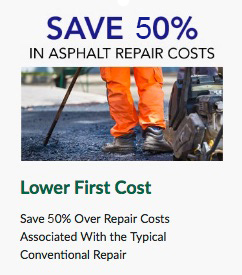 But you will find out that it will soon pay for itself because the savings that you will incur from not having to buy fresh asphalt very time you need to make repairs. There are many asphalt recycler machines available in the market. This makes the task of choosing the best one difficult. Below are some of the things that you need to look out for when shopping this kind of machine. The best kind of asphalt recycler machines are those that are self-contained, easy-to-operate and mobile so you can mix on the spot. It should have the ability to produce hot mix from reclaimed asphalt pavement that has been extracted directly from the repair spot or from a stockpile. Ideally, it should also be able to process large chunks of pavement. The machines comes with a feature that allow them to improve the performance of the repaired area. You should also look at the amount of hot mix that the machine can produce. Ideally, the machine should be able to make 2 tons of hot mix in 10 minutes. We live in a very fragile world that is quickly degenerating because of climate change and environmental neglect. If we want to reverse the state of the environment, we must all make valuable contributions. There are many things we can do and little changes can make big improvements in the long run. One of the things that we can do is to be more conscious of the resources that we use. This is why environment experts are always reminding people to recycle. Using an asphalt recycler machine is good for the environment because it encourages the preservation of resources. If you are a contractor who cares about the environment and who wants to have a low carbon footprint, then one of the best moves that you can do is to get this machine. You also get a better quality asphalt from a recycling machine than from a plant. The reason is because asphalt needs to be at a certain temperature when it is applied on the ground. If you still need to get asphalt from a plant, there’s a good chance that the asphalt will cool down significantly depending on the distance of the plant from the repair area. By using an asphalt recycler machine, you can be sure that you will be using fresh and hot asphalt every time. 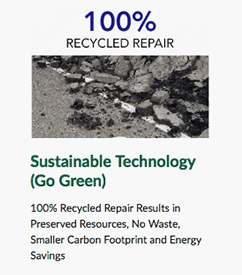 Some machines even add a proprietary mix to the recycled asphalt to make it more durable. If you don’t have enough money to buy an asphalt recycler machine, don’t worry. 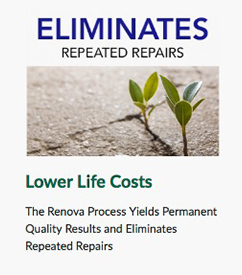 There may be a RENOVA dealer in your area that will rent their machines to you.